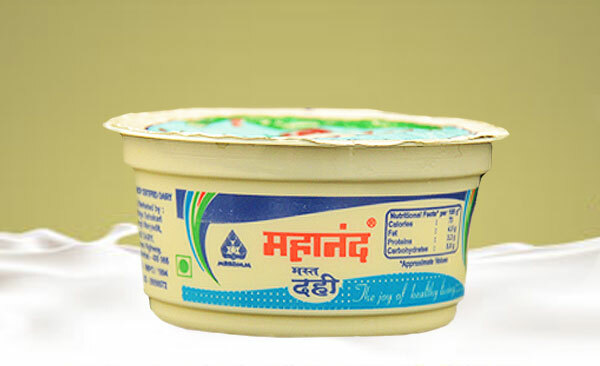 Mahanand Dahi or curd is the product obtained from pasteurized or boiled milk by fermentation of harmless lactic acid bacteria culture and flavour producing bacteria. Dahi shall have the same minimum percentage of milk fat and milk snf as the milk from which it is prepared. Milk Solids is used in preparation of Dahi. Mahanand curd is available in 100, 200 and 400 gms pack. It has excellent texture, appeal and delicious taste.